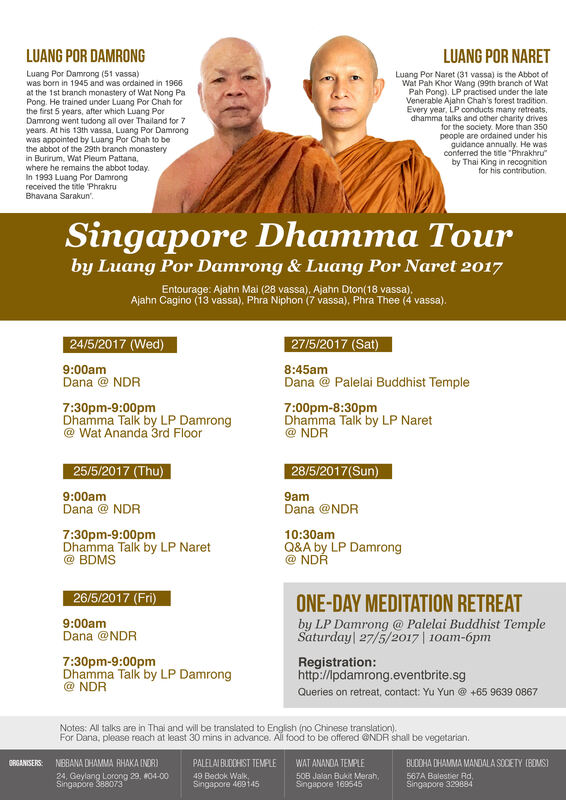 Kindly take note that Luang Por Damrong will be taking over Luang Por Boon Chu due to health issues. Please visit our website or FB to receive updated news on our events and activities. This entry was posted in Forest Way on May 17, 2017 by wayadmin.